Hi guys, i hope i'm posting in the right place. I'm new here. 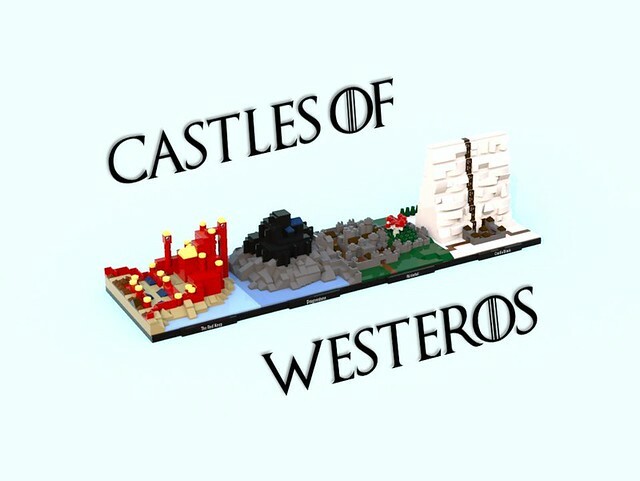 This is a Game of thrones MOC, might be consider as an architecture set maybe. Any advise is welcome. I know for sure that i have to do better rendering. I think at this scale, a lot of the fun details that make them iconic gets lost. Although I really appreciate the wall/castle black. Well done with the texturing. Winterfell is recognizable because of the Weirwood. I was unsure on Dragonstone until I saw the name. Clever idea. I've been wanting to make my own micro versions, but I hadn't considered this small.